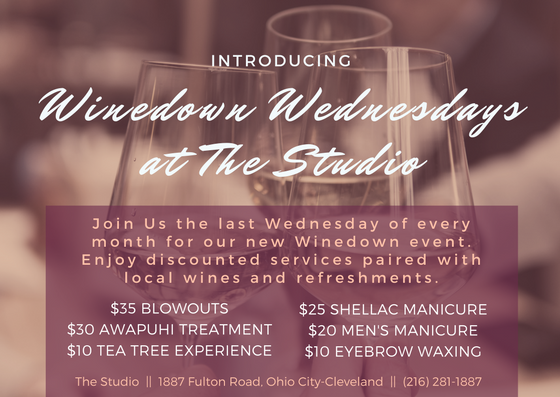 Join Us the last Wednesday of every month for our new Winedown event. Enjoy discounted services paired with a selection of fine wines, local beer and refreshments. Keep Your Hair Frizz Free All Summer Long!